Donate to the Open Source Initiative! 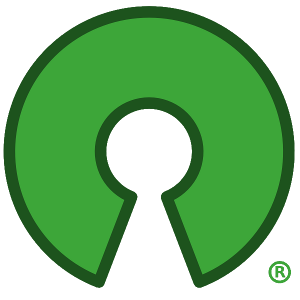 Make a donation to support the work of the Open Source Initiative. If you pay taxes in the United States, note that the OSI is 501(c)(3) non-profit organization, and your donation is fully tax-deductible to the extent allowed by law. Our tax ID number (TIN/EIN) is 91-2037395. The following name and address fields are not necessary to complete if you would prefer to keep this information private. Filling them out does assist us in communicating with you. If you would like to receive an official receipt for tax purposes, you need to provide us with this information. We'd love to know, even if you don't want us to publicize your reasons. Everyone the OSI has had an email exchange with. If you are contributing to support a specific OSI campaign, working group, incubator project, or initiative, pleae indicate that here. Your funds will be used to support that effort. A list of current projects is available at opensource.org/working_groups. While we prefer if you donate here via our own site (it makes things easier for us! ), you can also donate to us through the NetworkforGood. Search for 'Open Source Initiative' in the 'Charity Name' field. We appreciate your support. Thanks for supporting the OSI and open source. For any questions, contact us at osi at opensource dot org.